The Impsport T2 Collection features technical fit garments, utilising specialist fabrics in key areas for maximum aerodynamic and speed gain. 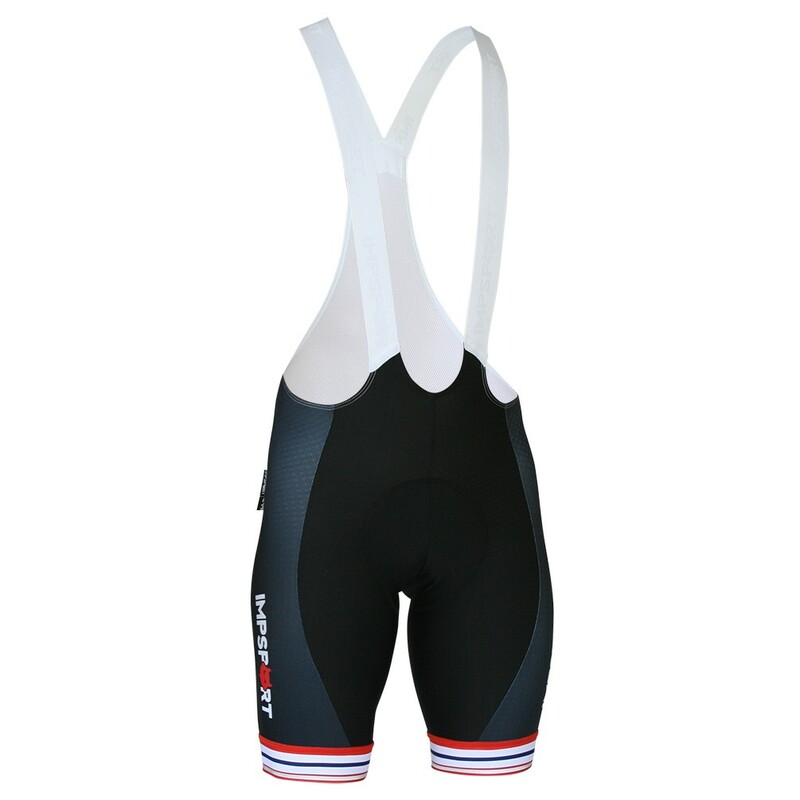 The textured fabrics used in the T2 Bibshorts ensure optimal fit and ergonomic performance. 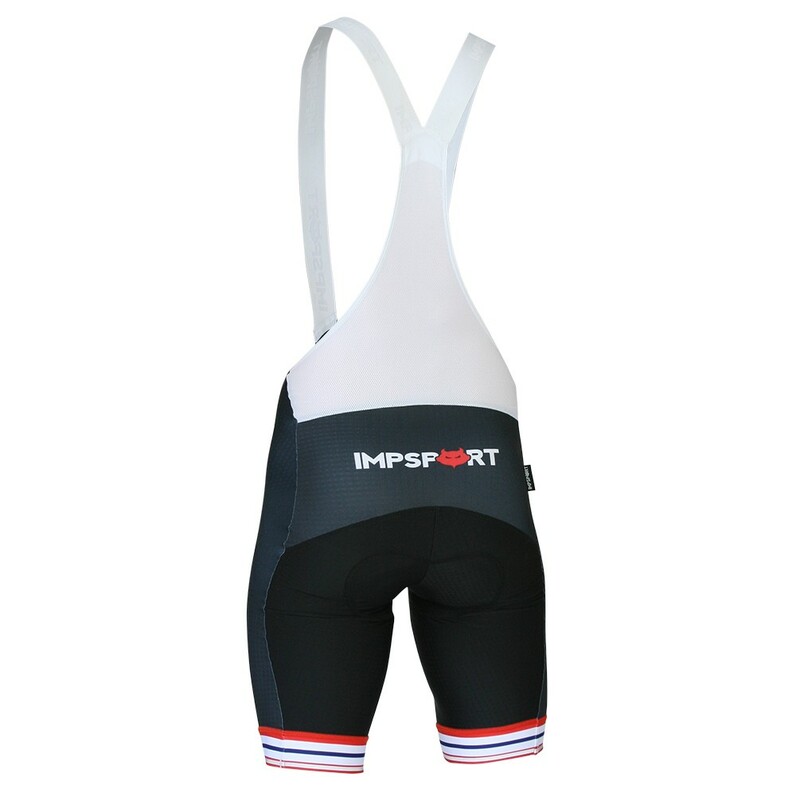 Designed to work perfectly with the Impsport T2 Jersey and featuring a unique design available exclusively from Impsport. Soft feel, comfort brace system holds perfectly with near invisible straps and the ultra-light, high wicking mesh bib-back is highly breathable for greater ventilation. The tight, professional fit offers superior compression to help keep muscles warm and optimise performance. Laser-cut, soft-silicone gripper band to hold bib shorts comfortably in place.